If you’re following a ketogenic diet, you know you have to be pretty strict with your macronutrients. Specifically 75% fats, 20% protein and 5% carbohydrates in order for your metabolism to get into the ketosis state for fat loss results. But that doesn’t mean you can’t still have some of your favorite foods. You just need to alter a few ingredients and modify things here and there, for delicious keto-approved meals. But before you dive into these recipes, remember…To maximize keto dieting success, try BPI Sports’ Keto Aminos™ so you can help your body transform into a fat burning machine, using fat as fuel and energy, all while repairing your muscles. Keto Aminos™ features a stimulant-free blend of ketogenic Beta-Hydroxybutrate (BHB) salts, medium chain triglycerides (MCTs) and aminos helping your body to recover properly after intense training for more weight loss success. It can also help with keto flu symptoms, as your going through carbohydrates withdrawal, helping you out through your keto dieting journey. And now, the delicious keto-friendly recipes for breakfast, lunch and dinner. 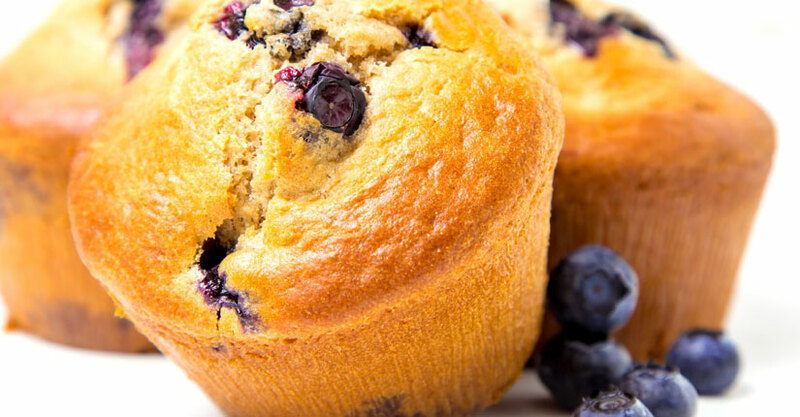 To keep this breakfast muffin recipe low in carb, almond flour replaces all-purpose white flour. Also, fruits aren’t really allowed when ketogenic dieting, except for the berries family which include blueberries, strawberries, blackberries and of course, in moderation. This keto breakfast muffins make the most out of it , with full flavor and deliciousness. Preheat oven to 350 degrees Fahrenheit and line muffin tin with cupcake papers. Mix almond flour and heavy cream, then add one egg at a time and stir. Add the rest of the ingredients, with blueberries last. Spoon mixture into individual cupcake papers, about half way full and bake fore 20 minutes. Each muffin has 184 calories, 5 grams of protein, 17 grams of fat and 6 grams of carbs. Preheat oven to 400 degrees Fahrenheit and cut zucchinis lengthwise so you can scoop out most of it. Pour 1 tbsp. of clarified, melted butter, season with salt and pepper, and place in oven for 20 minutes. In the meantime, shred the rotisserie chicken, place in bowl. Cut cauliflower in bite-size and add the sour cream to render it creamy. Mix the keto-approved vegetable with chicken in bowl. 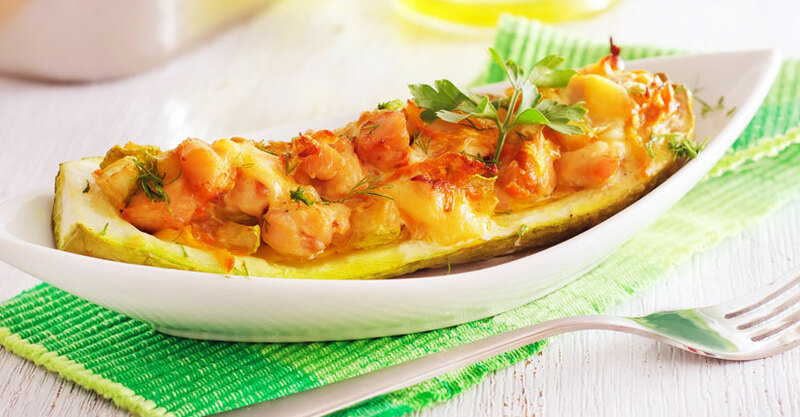 Take out zucchini boats from oven and fill up each boat with the mixture. Top each boat with cheddar and pop back into the ven for another 15 mintues. Sprinkle chopped green onion and serve.Each serving has 476 calories, 30g Protein, 34g Fats and 5g Net Carbs. 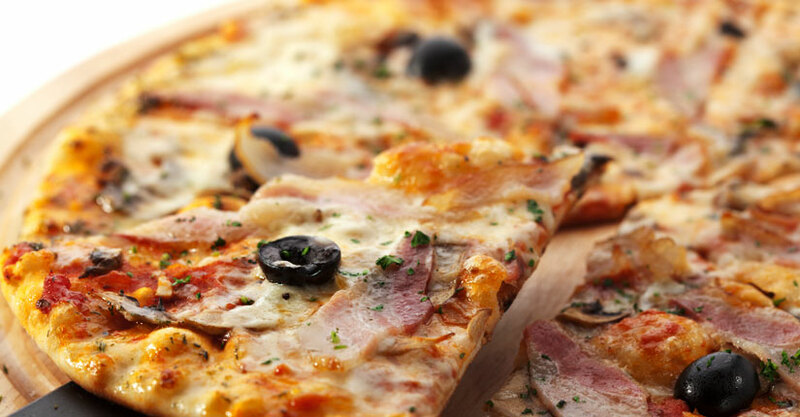 Everyone loves pizza and just because you’re following a ketogenic diet that doesn’t mean you have to go cold turkey with pie. There are healthy alternatives to the traditional pie recipe that stays within low-carb limits and on track with your new keto lifestyle. You’ve seen the cauliflower-crusted pizza and gluten-free versions online, but now you can make the crust out of cheese and a bit almond flour. Preheat oven to 400 degrees Fahrenheit. Melt 2 cups of cheese in microwave, until malleable but not brown. Add the cream cheese and egg, then mix. Next, add all leftover ingredients and mix until it becomes like a dough. Then add a teaspoon of olive oil to work the dough and flatten it on a cookie sheet. Bake for ten minutes on one side. Then flip over and bake for another three minutes. Remove and add tomato sauce, Mozzarella cheese and of course, your preferred toppings. Bake again for about five more minutes, or until cheese is melted. Cool and slice to serve. Each slice has 335 Calories, 18.2g Protein, 27g Fats and 3.2g Net Carbs.